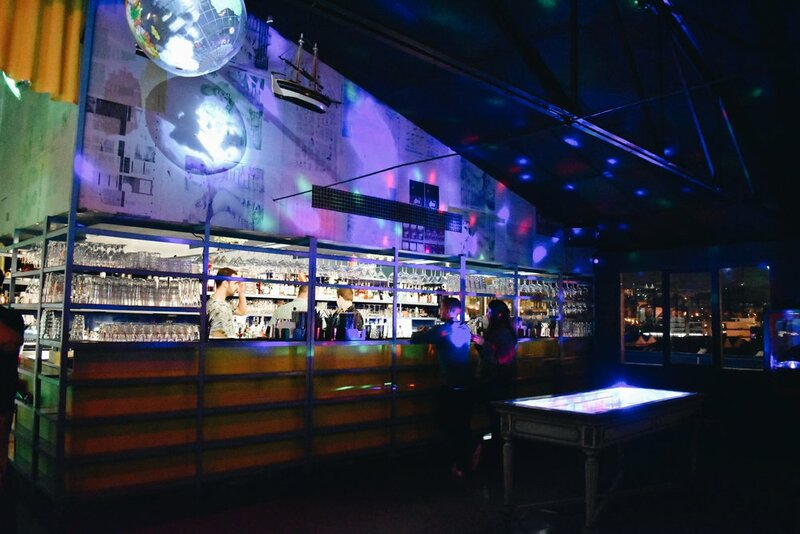 Travel Guide: The Coolest Things to do in Lisbon — Blake Erik. Lisbon has long been Western Europe's hippiest capital city, often overlooked in favour of it's more renowned counterparts in the continent. But with streets steeped in history— Lisbon predates other cities such as London and Rome, this little city on the mouth of the Tagus River has played an important role in the New World, and there hasn't been a better time to visit than it is now. Since the economic crisis of 2011, tourism in Portugal has been booming thanks to its livability, attractive beach culture, low prices for wining and dining, and important historic sights that have become major attractions. In this guide, I've curated a list of things to do in Lisbon that aren't on the typical tourist itinerary (that'll be coming soon), but rather things that will certainly add to the standard must-dos of Lisbon, including getting a book that's certified and stamped from and by the oldest bookstore in the world, discovering industrial hubs that have been turned into colourful, creative and happening spaces reflective of Lisbon's pure energy, exploring some of the coolest local markets and so much more. This was my favourite discovery, straight up. 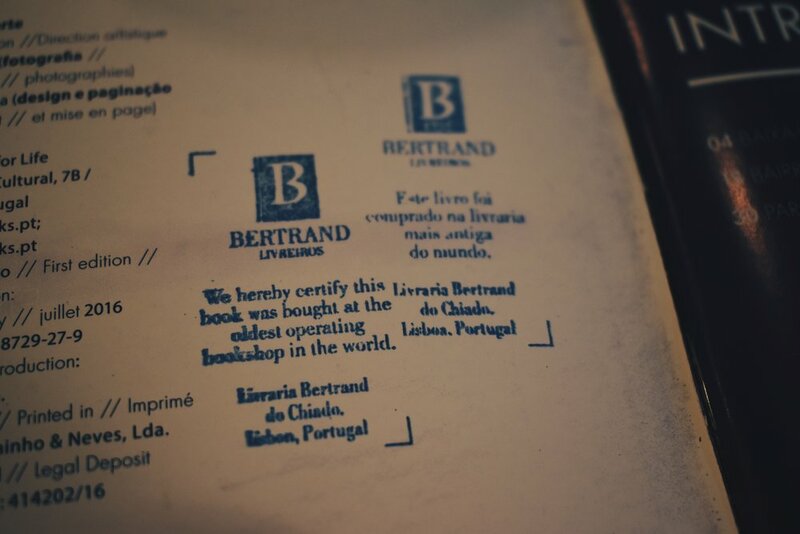 Livraria Bertrand has moved all around the city through the years, but the very first store was opened in 1732 on Rua Direita do Loreto which has since then proliferated into a chain of bookstores that are now firmly a Portuguese institution. It's current location on Rua Garrett was a result of a move back to the Chiado area thanks to the rebuilding of the area after the 1755 Earthquake that devastated Lisbon and its occupants. In 2010, thanks to the Chiado store, Livraria Bertrand won the Guinness World Record of the oldest bookstore still in operation today. Now though, you'd be forgiven for not thinking much of the store beyond its size and how far in it goes as you stroll down the corridor lining the halls on each side. Books and magazines on sale are also contemporary items you can find almost anywhere else, but the neat thing here is that with a purchase, you can get it stamped noting where you bought the book from, either in Portuguese and/or English. Now that's something you're not gonna be able to get at just any bookstore. 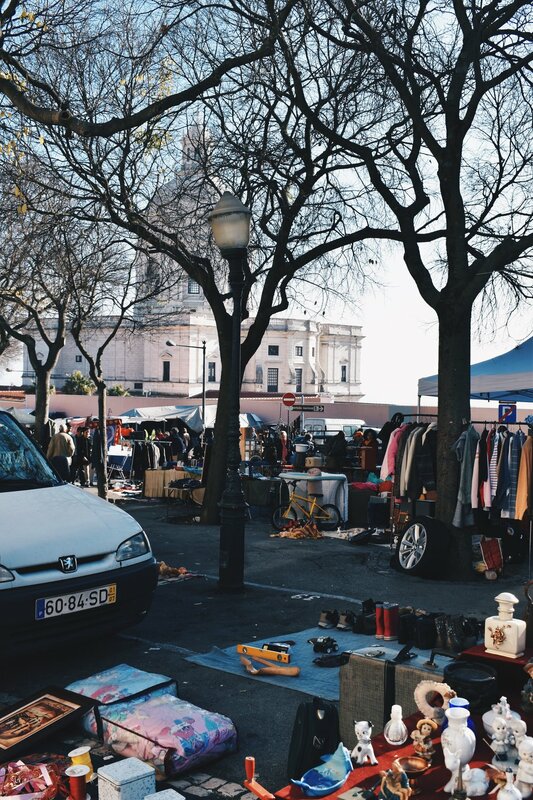 Feira da Ladra is one of Lisbon's oldest flea markets, with few theories on the origins of the name of the market, including Thieves' Market (as 'ladra' in Portuguese refers to a female thief) because the market used to sell secondhand goods with unknown origins, and even bugs ("ladro") found in antiques! 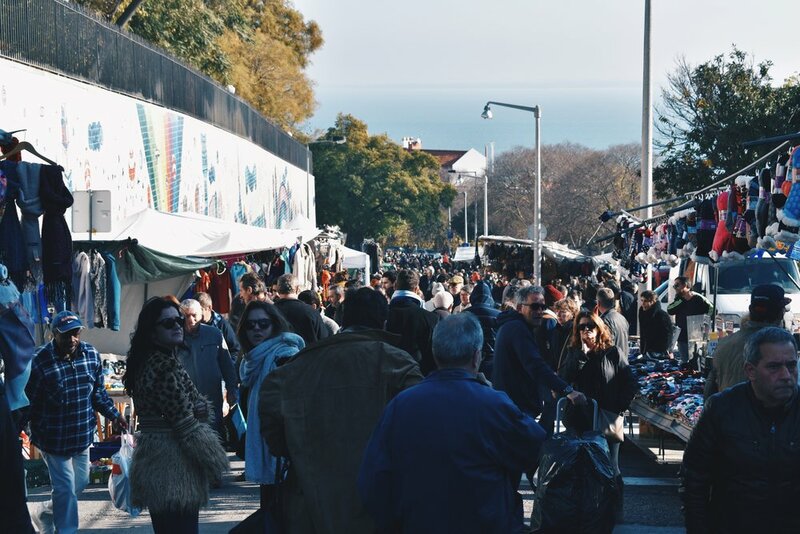 Regardless, this sprawling, open air market is held every Tuesday and Saturday from dawn till dusk in the vicinity of the church of São Vicente de Fora as well as Panteão Nacional. When I headed to the market at around 10 in the morning (on a December winter day), the market had packed in the visitors. The market is sprawling, and vendors have to be coming up to a count of at least a hundred, and just about everything could be found here. We're talking coins and notes from before Portugal started using the euro, stamps dating from the 1800s, clothes, vinyl records, furniture, postcards older than you can imagine, cameras, and just about everything. Music filled the streets, the chatter of shoppers looking for a nice bargain bounced off the walls, and shoulders were rubbed with the rest of the crowd. I asked a local if anyone can just lay out a picnic mat and start hawking their wares, and he laughed, before remarking that you need a license to set up shop, but quipped that even without one, "just pack up and go when the police come around, I suppose!" 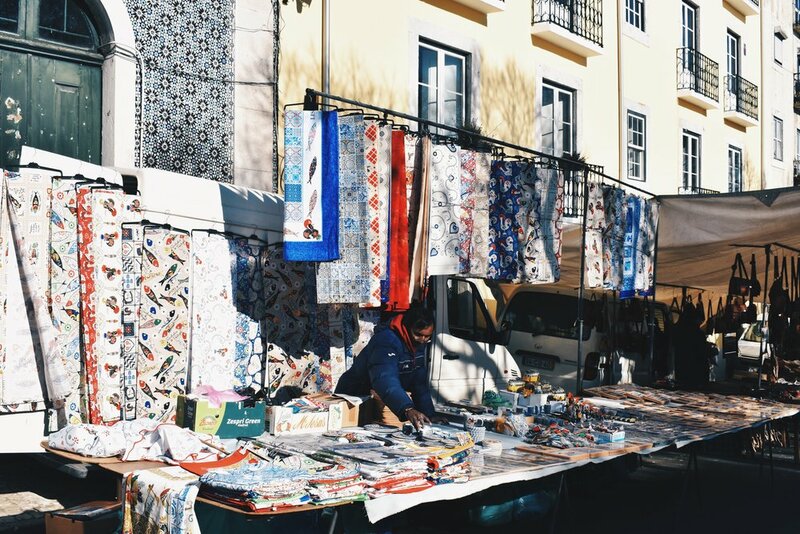 Forget traditional gift shops, your most prized souvenir from Lisbon might be right here at this market. Since the 1800s, the district of Alcântara set on the fringes of Lisbon's city core was occupied by an important industrial zone for textiles and chemical production of soaps, oils and candles. 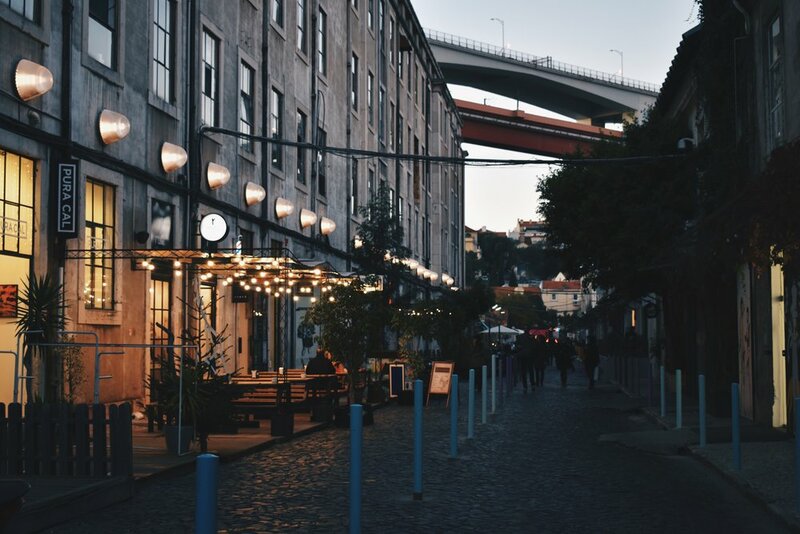 From the 1990s and onwards though, this area of Lisbon has been revitalised thanks in part to the pubs, discotheques, and restaurants that moved into this area. And now, what used to be the site of a threads and fabrics company that started in the year 1846 by the name of “Companhia de Fiação e Tecidos Lisbonense”, has been turned into LX Factory. 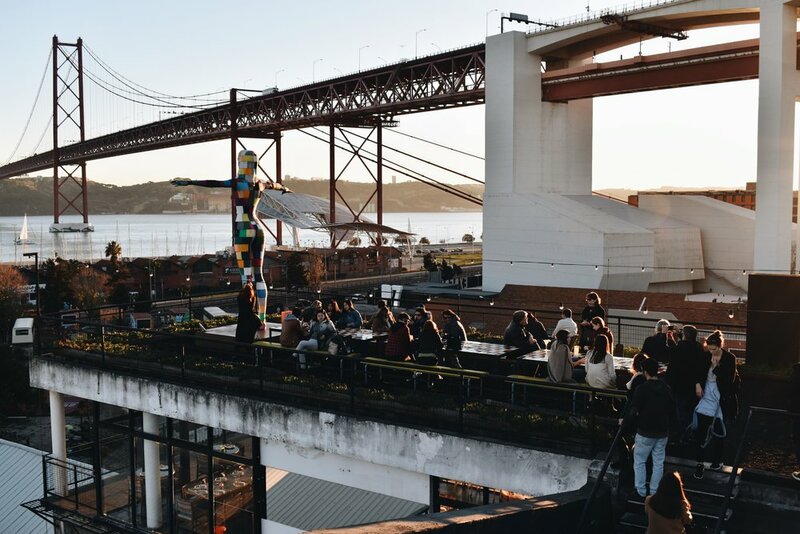 LX Factory is one of my favourite places in Lisbon, complete with cool and unique boutiques, old school barbershops, neat little cafes, creative offices, and a rooftop bar (more on that below on point 4) to watch the sunset over the river. This compound is vibrant, and attracts a largely younger, more creative crowd, making the energy and vibe here palpable. Here, we shopped at cool gift shops and boutiques, had brigadeiro (a sweet Brazilian snack at Oh! 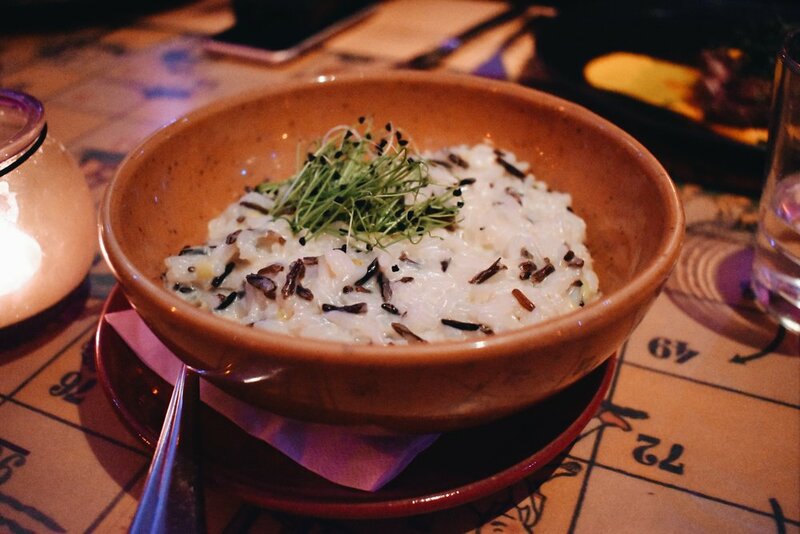 Brigadeiro cafe), visited what must be one of the coolest bookstores (Ler Devagar) , enjoyed drinks at a rooftop bar and had dinner at a packed restaurant (Rio Maravilha). With great weather— azure blue skies with nary a single cloud in the sky that the Mediterranean climate is usually blessed with, Lisbon is a city you can witness some stunning sunsets, and there are fewer better ways to enjoy it than over a drink with great company at Rio Maravilha, LX Factory’s most popular gastropub around. While dinner doesn’t begin serving till 8pm (do make a reservation as tables fill out pretty quickly even in the winter), the bar’s open for you to enjoy a cocktail or two. Rio Maravilha is located in a building on the main street, where you’ll take a lift up to the 4th floor. 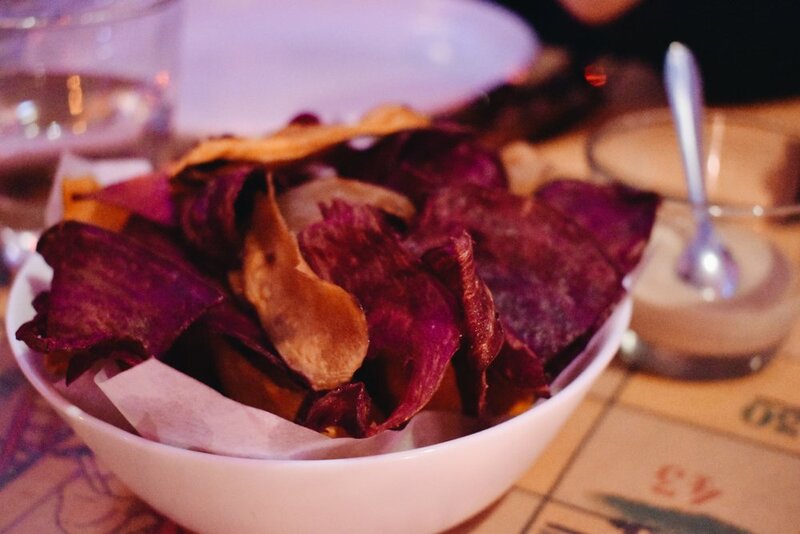 As the doors are opened, you’ll arrive at the bar where the bartenders are working their magic, as well as game tables, a stage for live music, and a patio outside. But where you should be, is to take the stairs located next to the lift, and head up to the rooftop with your drink in hand, where tables, benches and chairs have been laid out, with a marvellous view over the important Ponte 25 de Abril Bridge and Cristo Rei, a statue of Jesus Christ overlooking the city from the other side of the river bank, which was built after World War II in gratitude for sparing Portugal from some of the greatest atrocities of the War. From here, you’ll watch the clear blue skies start to turn an intense orange and the rooftop light up as the night turns to dark. This was one of my favourite sunset experiences during my time in Lisbon and I’d do it again in a heartbeat. It was here that the world renowned egg tart was born, right here in Lisbon, by the monks of Jerónimos Monastery before the 18th century. To generate some revenue in the face of the extinction of the religious orders and closure of convents and monasteries, the monks began selling these pastries at a sugar refinery nearby, before eventually slling the recipe to the owners of the sugar refinery, which has been kept by descendants of the family ever since. Now, you can get it at Pastéis de Belém, a storefront on the street of the neighbourhood of Belém. While I did genuinely think this was the best place I got to enjoy these tarts, I do also think it’s very much a matter of personal preference, from how sweet you want the egg filling to be, how thick or thin you’d like the base to be, how crispy you’d like the base to be etc. 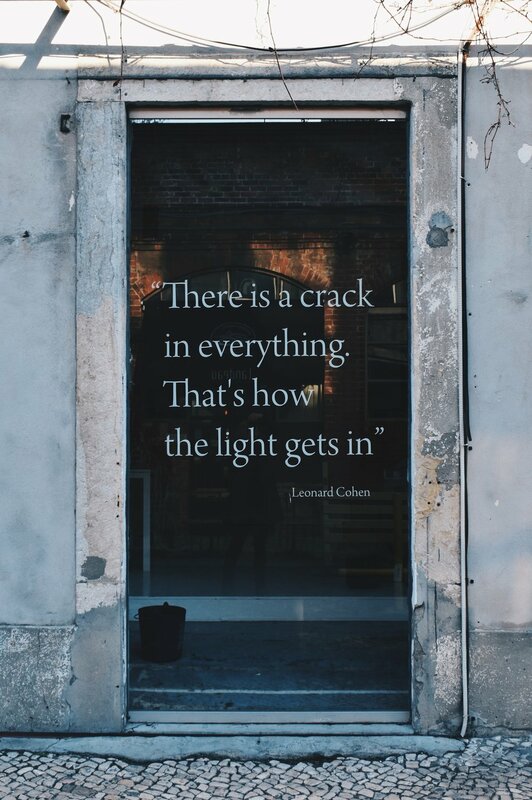 Because it’s become so popular, you can literally find it everywhere you go in Lisbon, bakeries on every street, at the airport, train stations etc. Just like how a local would, you can sample a few from different bakeries and decide for yourself which will be your local haunt! As aforementioned, Lisbon is no stranger to a gorgeous sunset, and this was my other pick for a magical evening. There are many reasons to go to Belém, one of those being that this used to be where Portuguese explorers departed for their voyages, leading to a place of importance to Lisbon and Portugal’s history books. The grand Belém Monastery was also where the explorers rested and confessed, and where Vasco da Gama’s, the first European explorer that made the voyage to India, tomb can be found. Belém Tower (Torre de Belém) was built between 1514 and 1520 as a fortress to safeguard the harbour, and while entrance to the inside of the tower is ticketed, a large part of its appeal lies in the stunning exterior. We stayed here till sunset and I got some incredible shots of the Tower.